On the 5th September 2017 I released my first book! 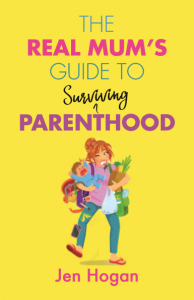 Published by Orpen Press, “The Real Mum’s Guide to Surviving Parenthood” covers all the ages and stages, from the positive pregnancy test right up to the teenage years. Here’s the blurb to tell you more: “Parenthood the greatest adventure of all. While everyone else on social media … Continue reading "My Book!"